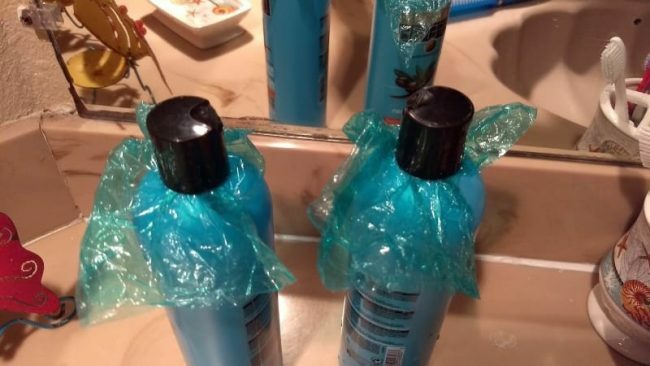 15 Genius Hotel Hacks You Need To Know! If you are planning a quick getaway over the weekend or a long escape then these hotel hacks will change your life! 1.) No nightstand? No problem. 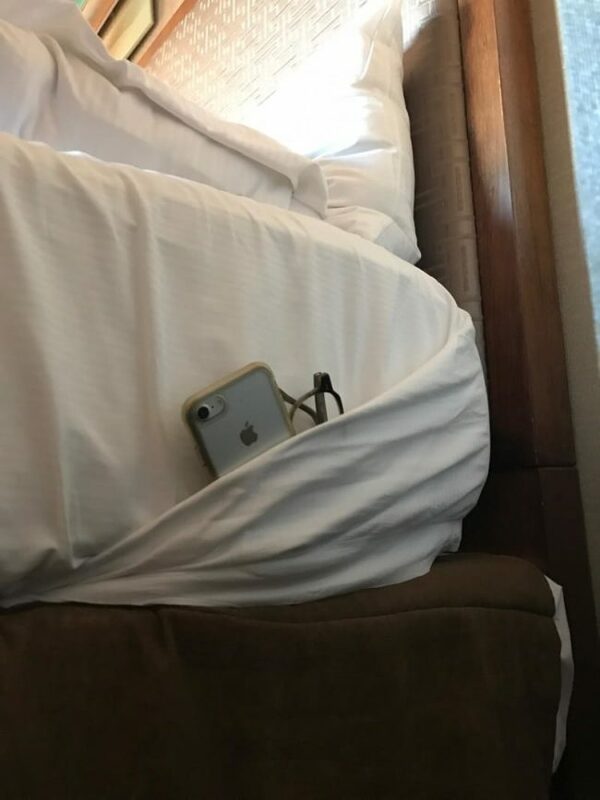 Isn’t it the worst when you don’t have a nightstand to put your phone etc. on? When you are staying in a hotel you can’t guarantee you’ll have the luxury of a nightstand. However, try improvising by using the folded sheets as a pocket for your phone, glasses, anything! 2.) Borrow items you haven’t packed! 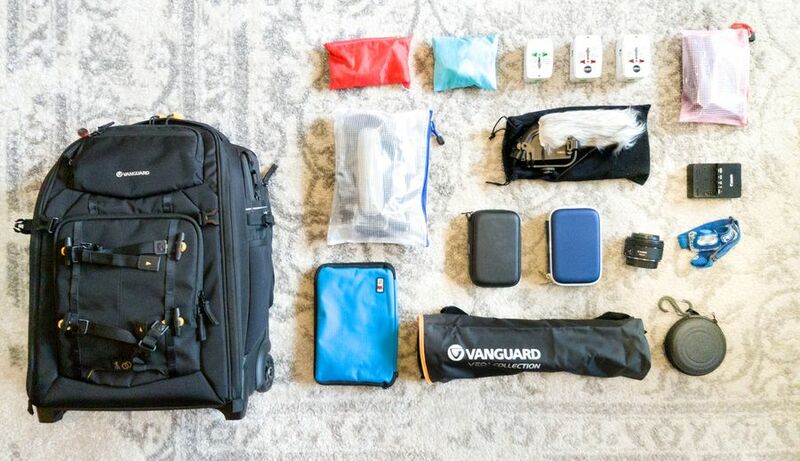 If you are anything like us, you are likely to forget something when you go on holiday. There’s always that dreaded moment when you arrive at the hotel, unpack and notice you’ve forgotten your toothbrush or slippers (vitally important). However, before you go to the nearest shop, try asking at the hotel reception if they have anything you can borrow or use, this will save you both time and money! Sometimes hotel rooms can smell a bit funky and it’s not great, especially if you are staying there for a while. 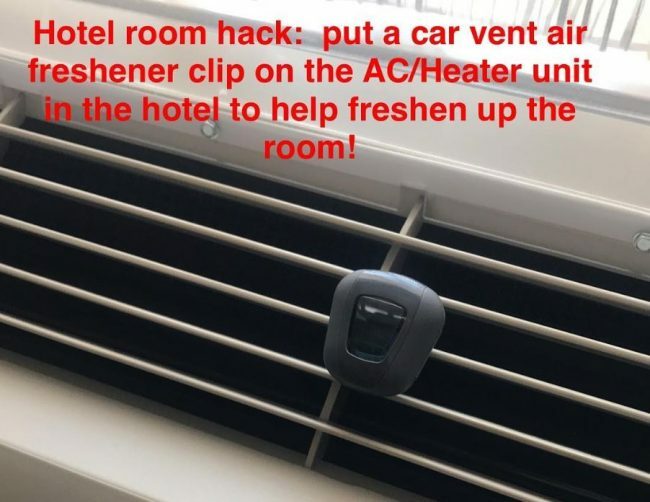 Solve this issue by putting your car vent air freshener on the A/C unit in your room! It is easy to accidentally forget your room key when staying at a hotel. 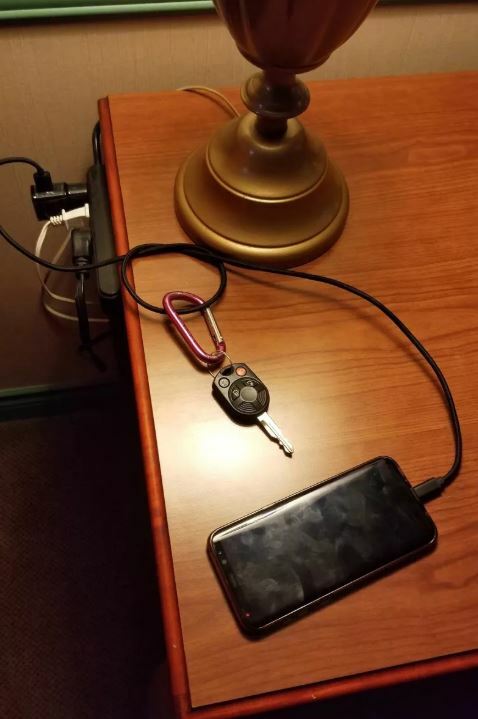 Stop this from happening again by attaching your room key to your phone charger, this way you’ll remember both your phone and key! Winning! 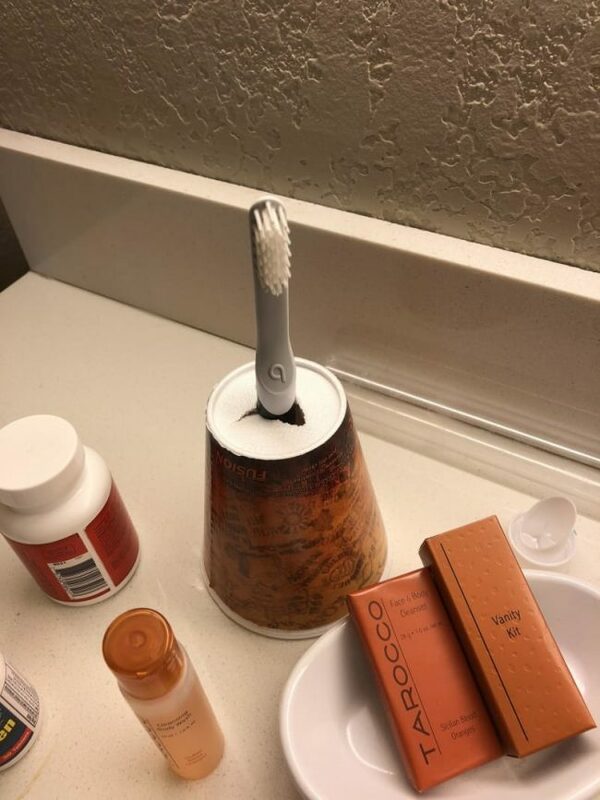 Use the plastic from hotel cups to screw under the caps of your toiletries. So, if they leak, you have nothing to worry about! 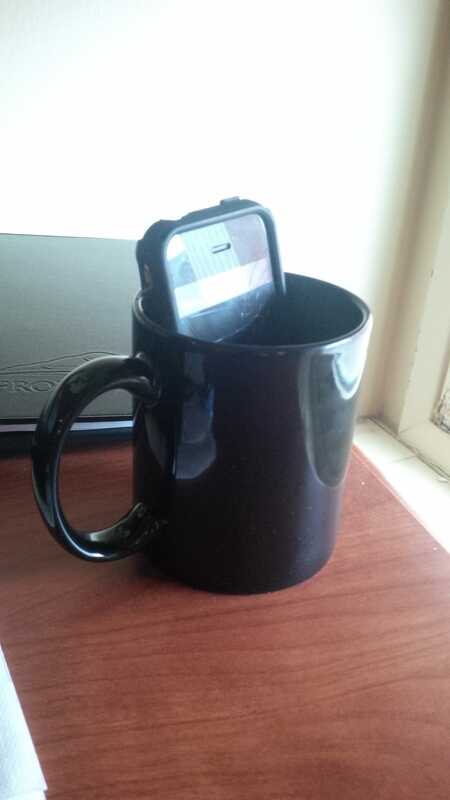 If you have forgotten your phone speaker and want to get your groove on, try putting your phone in a coffee mug to amplify the sound. If you fancy a snack or drink from the mini bar, go ahead! Avoid the crazy expensive charges by restocking it yourself with the exact same items from the convenience store. This way you will save loads of money, just as long as it doesn’t have fancy pressure plates! If you are a bit of a germophobe, you can avoid putting your toothbrush on the hotel counter by using a paper cup and making a hole in the bottom. Clean toothbrushes all round! Lots of hotels have quite a gap under the door which allows loads of noise and light to come through. 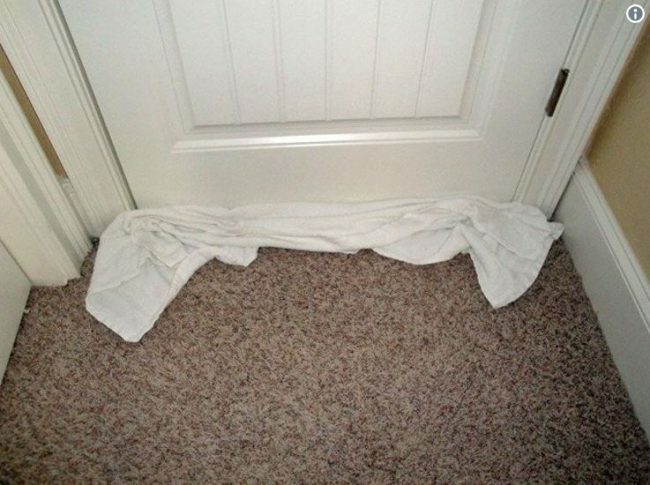 If this is driving you crazy, there is a super quick fix, just place a towel across the gap in the door and you’ll be deeply asleep in no time! 10.) 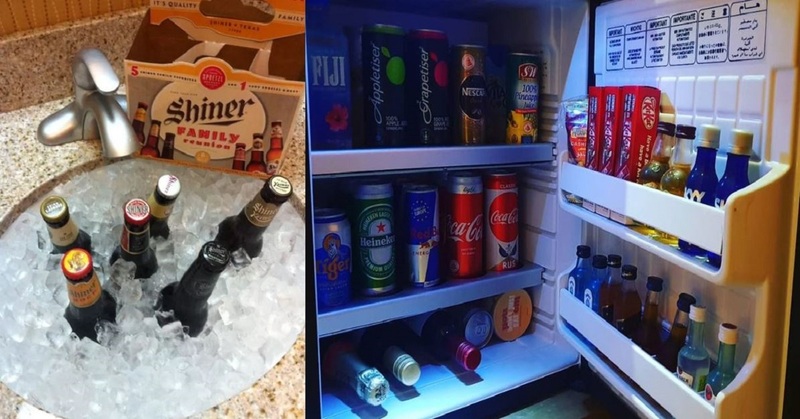 No mini fridge? You can still keep things cool! 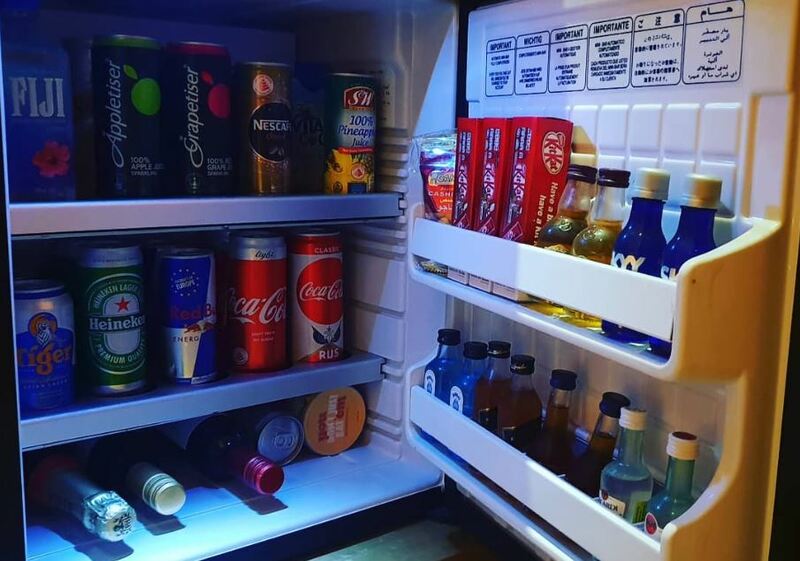 If your hotel doesn’t have a mini fridge, there’s no need to despair. 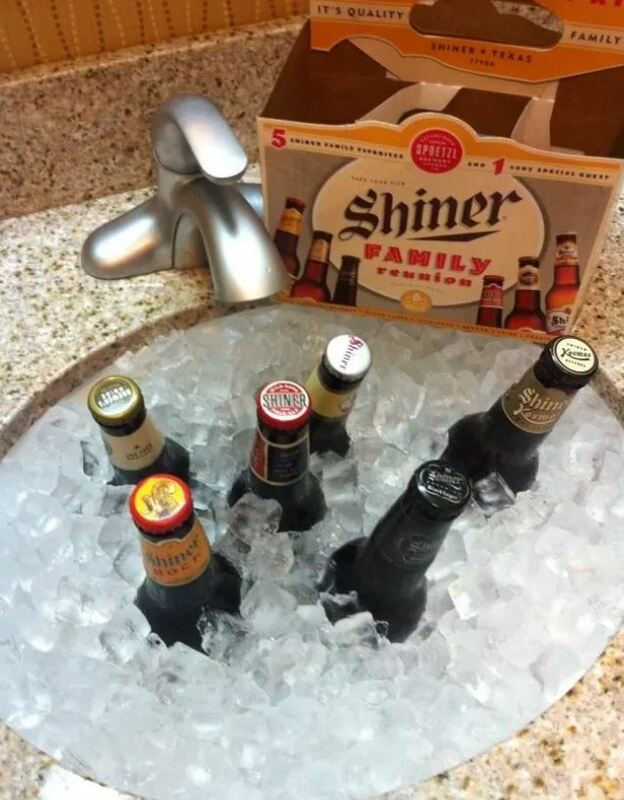 You can fill your sink with ice to keep drinks cool. 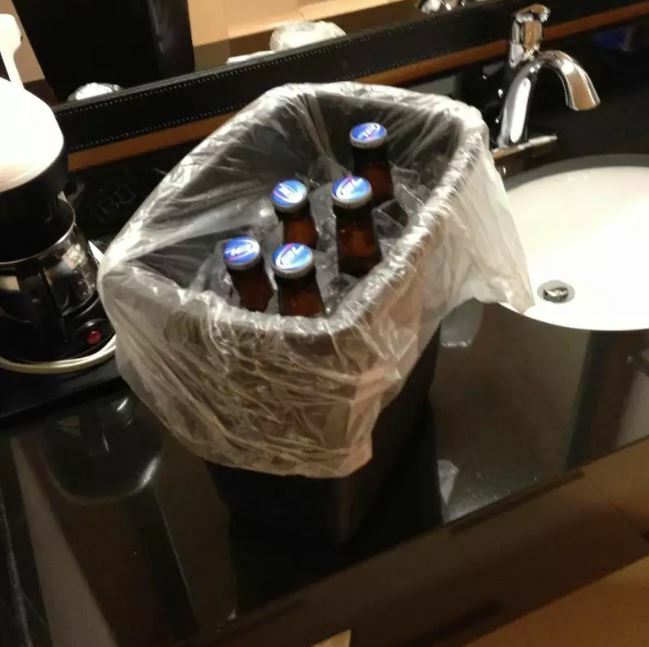 Instead of using a sink you can fill a bin with a new liner and fill it with ice for a classy portable mini fridge! 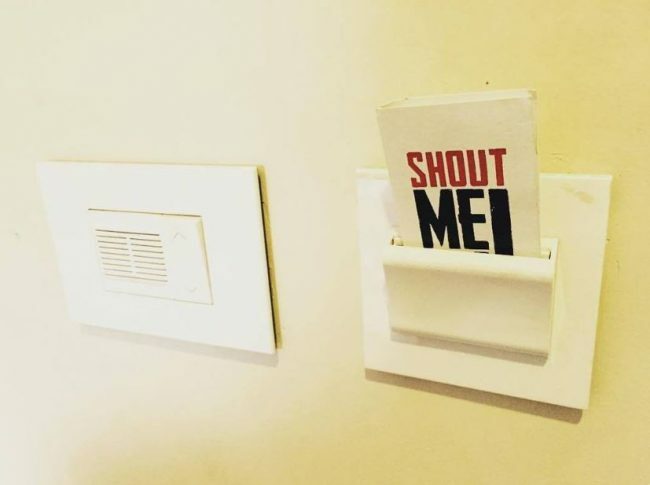 A lot of hotels these days require your room key card to keep the power on, all about saving energy and all that. However, sometimes you will want to charge your devices while you’re out, so, to keep the power on you can put any old card in there! We all know those little butter blocks that hotels provide are always rock solid and whenever you try to spread them on your toast you end up with chunks of butter. 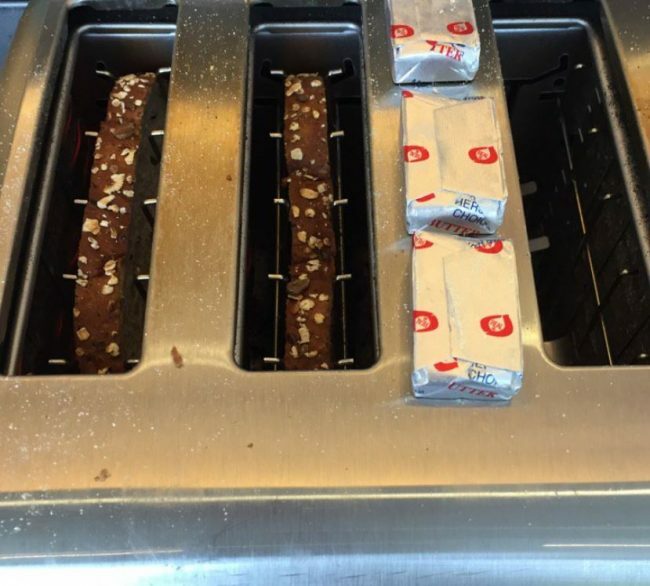 So, next time you are doing your toast at a hotel, place the butter on the toaster to warm them up. Spreadable butter in no time! 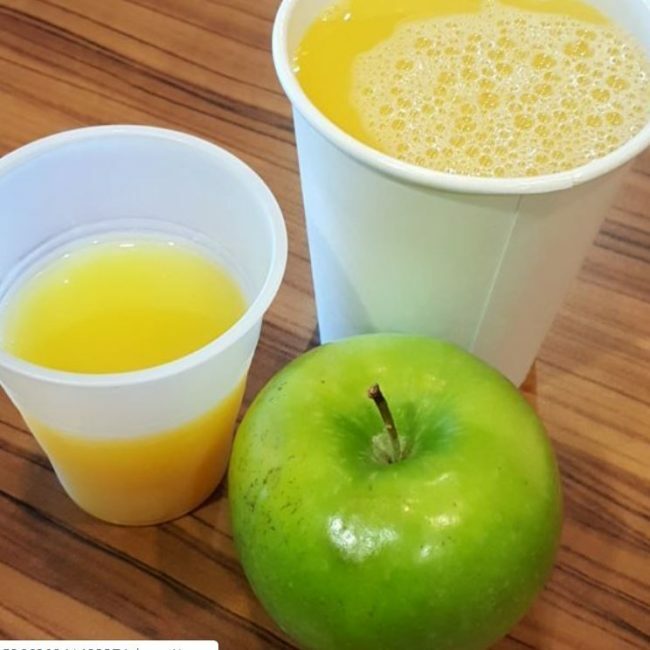 The tiny cups they give you at breakfast simply aren’t big enough for the copious amounts of juice we drink. Solve this problem by using a big coffee cup so you don’t have to keep returning to the juice machine. Hide your addiction to juice whilst getting your fix! 15.) Don’t worry about wall chargers! If you have forgotten your wall charger or don’t have the right one for the country you are in, do not fear! 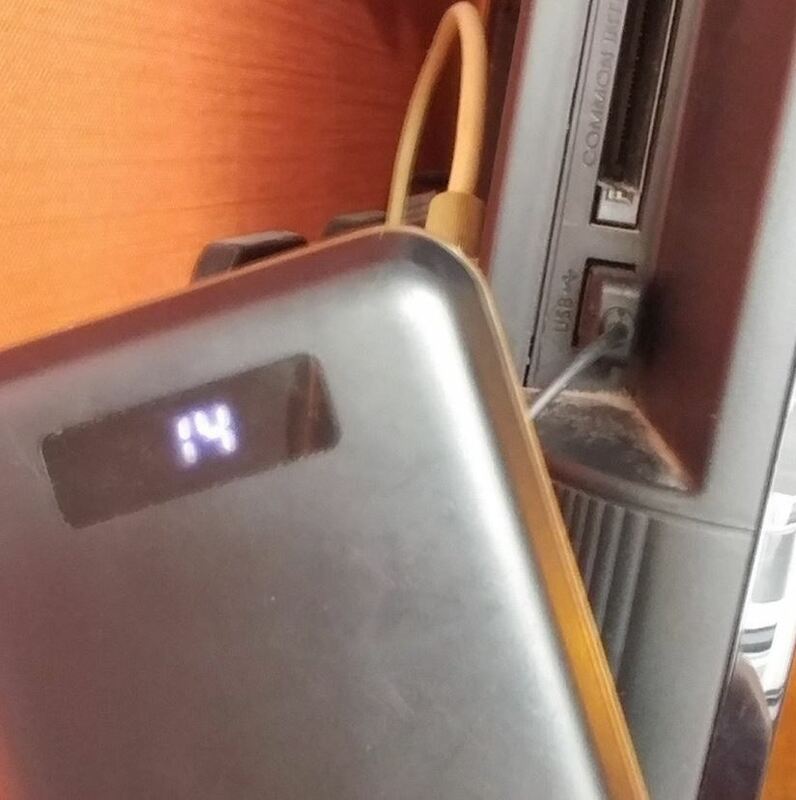 Most TVs have USB points at the back, simply plug your phone USB charger in there to make sure you stay connected.